The first ever Spiritual Theme Park in India, is going to come up in Tirupathi, in the temple city. This would be a unique experience to the public, where they can experience not only the devotional experience, but also the cultural heritage and other recreational activities. 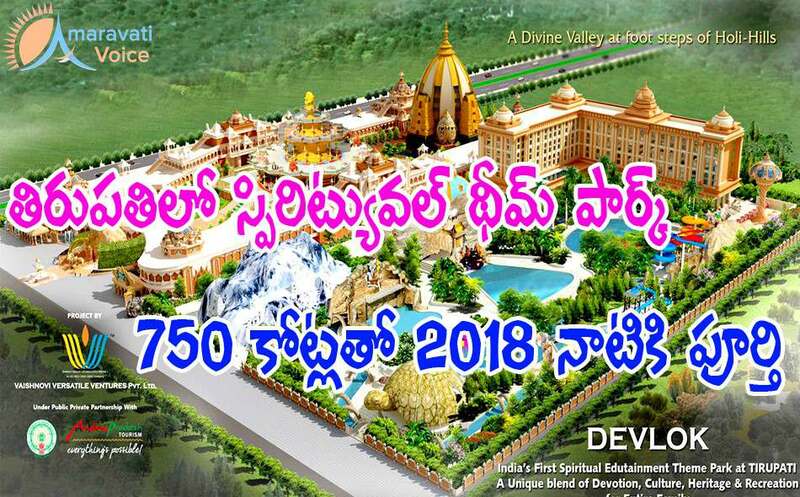 The project under name Devlok, which is a Mythological Theme Park is coming up near Alipiri on the foothills of Tirumala. Vaishnovi Versatile Ventures Pvt is going to construct this under Public Private Partnership with Andhra Pradesh Tourism Department. The Rs. 750-crore project will be established in around 30-40 acres. This is expected to be completed by 2018 and open to public from dussera 2018.